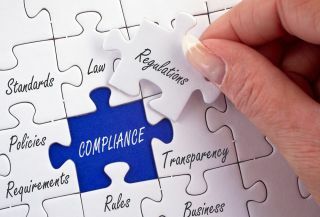 Manufacturers often find themselves in the spotlight when a food safety scandal hits the headlines – and, in many cases, the challenge isn’t achieving compliance; it’s proving that compliance to the public. We often take food safety for granted. We trust that no harm will come to us as we bite into a sandwich or snack on a packet of biscuits. The challenge for food manufacturers, however, is that safety is becoming an ever-more visible issue. Following a number of negative headlines (including two high-profile deaths), consumers are beginning to ask about the processes involved in guaranteeing food safety. They’re also seeking accountability from the companies that are supposed to look after them. It’s an issue that strikes at the heart of the food production industry – and manufacturers that can’t clearly demonstrate compliance with safety regulations risk their very survival. When a food safety scandal erupts, manufacturers can find themselves in trouble. Blame is often put on them, whether they’re at fault or not. Consumers put pressure on retailers who – keen to show decisive action – pass this on to their suppliers. This is when many manufacturers face their greatest challenge. While they’re pretty sure the issue didn’t arise in their facilities, there are a handful of processes they can’t account for or a group of tasks they haven’t fully tracked. These processes might have nothing to do with the scandal in question, but it’s enough to cast doubt on a manufacturer’s entire organisation. In terms of compliance, food safety is a binary concept: food either is safe, or it isn’t. There’s no such thing as being 95 per cent sure, which is why manufacturers can’t take the same approach to their production processes. It is crucial that they know exactly what’s going on – across the whole business – and how it affects everything else. Although visibility is vital, it remains something that manufacturers find difficult to provide. You might wonder how manufacturers lack the ability to demonstrate food safety compliance across their production facilities. Why would they take such a gamble knowing the risks? The answer is simple. Organisations lack the systems and software needed to offer visibility and manage compliance effectively. Of course, food manufacturers have systems in place to help them run their operations (at least those who don’t continue to use paper-based processes to track workflows). The challenge companies face is bringing those varied systems together to give everyone a clear picture of what’s happening across the factory floor. Without this, gaps appear, making information more difficult to trust – if you can even collect it. In any manufacturing organisation, you’ll find these gaps. They could be necessary processes not tracked by existing software, or tasks that teams log in a separate spreadsheet. Either way, the processes that plug these gaps are called workarounds – and they can cause some severe food safety headaches for manufacturers. Workarounds are a nightmare for food safety compliance. If a process sits outside your main systems, how do you even know it’s happening – let alone what data is held on it or what impact it might have on wider operations? The answer is you don’t. The process in question might be seemingly harmless, but in this case, you don’t know what you don’t know – and that’s a dangerous lack of visibility to demonstrate for a company charged with public safety. You only have to look at what happens to a manufacturer caught up in a food safety scandal to see the damage caused by workarounds. The company pores over its data only to find a gap it didn’t know existed; a gap filled by a workaround that’s either invisible, inefficient, inaccurate or all three. To outsiders (the consumers and retailers seeking accountability), this gap can seem endemic and, unable to provide all the answers, the manufacturer can quickly face a whole host of difficulties. Sadly, this hypothetical scenario only looks at the impact of a single workaround when the reality for manufacturers is much, much worse. Our latest research on workarounds offers some perspective on the extent of the problem. Eight out of ten respondents say they can identify at least one workaround in their organisation, with three-quarters confirming the use of spreadsheets and paper to carry out tasks that could be easily automated..
There’s also an acknowledgement among manufacturers that their systems aren’t up to scratch. Two-thirds of respondents say they use workarounds to track compliance information and 13 per cent state that these workarounds have directly caused a compliance or security issue in their organisation. When companies themselves believe that workarounds are a problem for compliance, it’s well past time to review the systems in place to see if they actually do the job. Workarounds have created a potential crisis for food manufacturers, and they need to be eliminated if companies are to guarantee both food safety and the future survival of their businesses. To remove the risk of workarounds from their companies, manufacturers need a factory system that tracks every workflow they have and provides end-to-end visibility of their operations. With this in place, they can gain a quick overview of every tiny detail, knowing that automated processes are providing them with accurate, actionable information. This improved visibility means that manufacturers can not only demonstrate clear compliance in the case of a scandal, but also can spot and prevent potential food safety issues before they occur. The answer is clear: no more workarounds, no more food safety scandals.